North Pacific humpback whale showing extensive scarring, almost certainly from a boat propeller, on dorsal ridge. 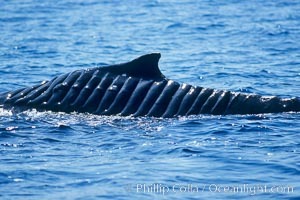 Whale Injury Photo. North Pacific humpback whale showing extensive scarring, almost certainly from a boat propeller, on dorsal ridge. This female has apparently recovered, as evidenced by her calf in the background. 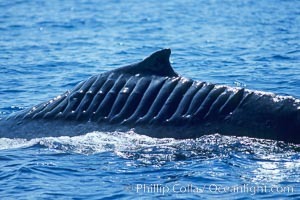 Whale Injury Picture. North Pacific humpback whale showing extensive scarring, almost certainly from a boat propeller, on dorsal ridge. Stock Photography of Whale Injury. 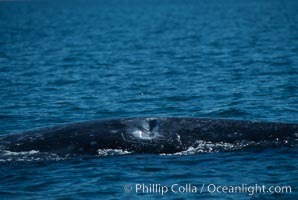 Gray whale dorsal aspect showing injury/wound/indentation likely caused by boat, Laguna San Ignacio. 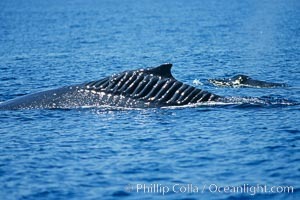 Photograph of Whale Injury.